Defining digital requirements of the UK’s second largest publisher. Project: Requirements gathering and customer research. Hachette UK are committed to improving their digital offering and to transform their presence to meet the needs and requirements of a modern business with a variety of stakeholders. Internal users were finding it hard to publish content and update important catalog data. And there was the inherent challenge of presenting a modern united front across for a federation made up of multiple publishers and imprints. Before embarking on a project of this magnitude, Hachette wanted to better understand their internal users and external customers and validate any assumptions they had around their web offering. A project of this scale would touch many parts of the business and require multiple stakeholders, so together we lead the customer-centric process and use our battle tested ux and design techniques to ensure the process was smooth, efficient and conducted with rigour rapidly. To kick off the project we knew we needed to get a good understanding of how people on the ground were interacting with the current system. To do this we undertook a comprehensive set of customer interviews. We spoke to staff from across Hachette to get a baseline on how the current system was performing and to find the pain points that real users were experiencing. 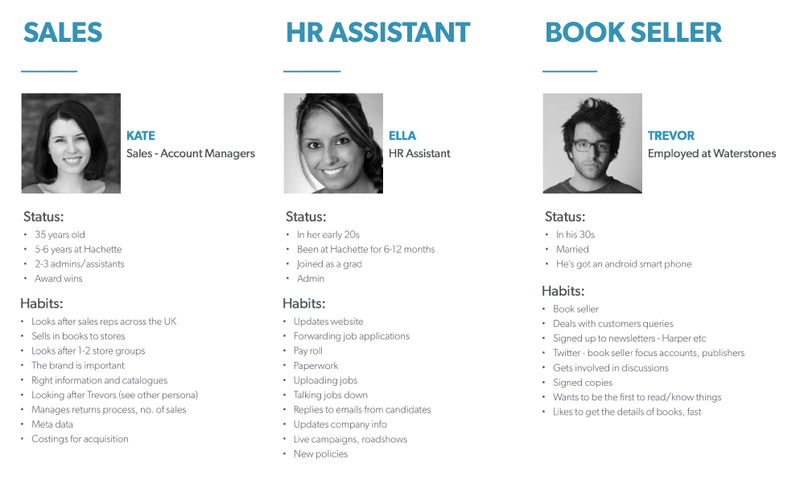 From these detailed interviews we were able to develop a set of detailed personas that covered the wide range of users that would need to interact with the new platform. Once we’d established an understanding of the current system we wanted to look at setting some goals for the upcoming work. To do this we used the H.E.A.R.T. framework developed at Google ventures. 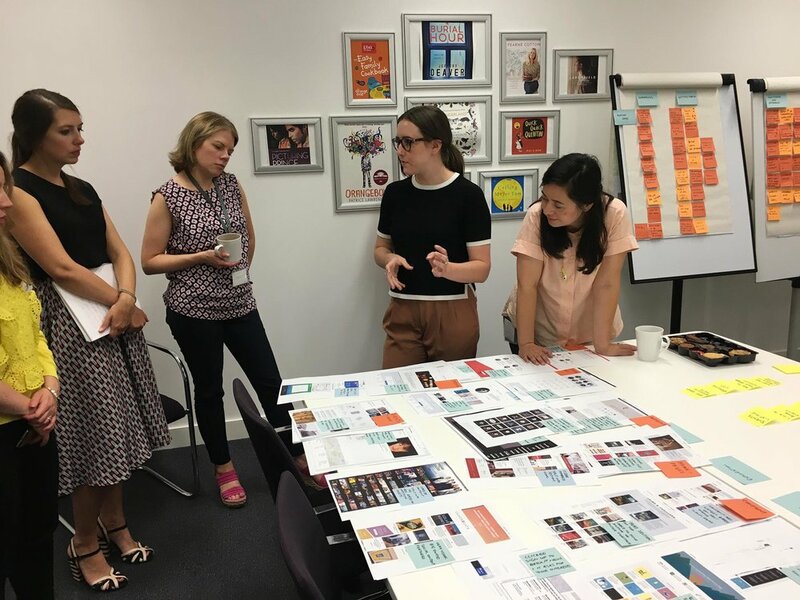 We facilitated several workshops with a range of stakeholders from across Hachette and developed a coherent set of goals and metrics for success that could be measured as the project progressed. In parallel to working with Hachette on understanding the user experience requirements, we were also working with Hachette’s technical teams to develop the technical requirements for the project. We started by reviewing all existing technical documentation outlining Hachette’s current system. We discovered a complex architecture that linked many new and old systems from across disparate parts of the business. We then sat down with the technical team to discuss and document the current challenges they faced as well their hopes for a future solution. Using all the insights we’d gathered we worked directly with key stakeholders to develop a set of customer journeys for the new product. This was achieved via a series customer journey framework workshops in which we captured more than 350 goals and feature ideas over three days. 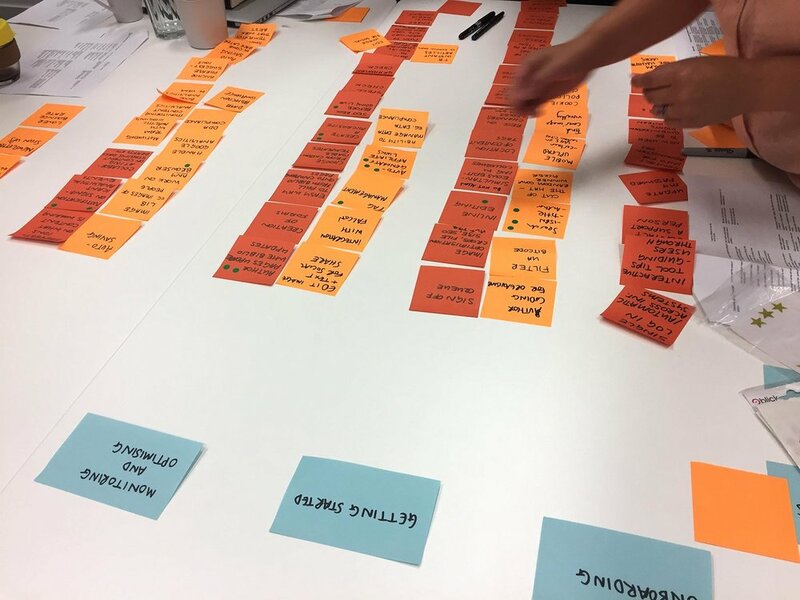 Feature ideas were prioritised by workshop teams and together with the captured goals would form the basis of the design hypotheses and prospective user stories. In a very short period of time we were able to understand the core challenges of Hachettes web platform, and deliver unique insights into the key goals for a new system. Using all the insights gathered from our extensive user interviews and persona generation we worked directly with the Hachette team to create a list of actionable user stories for the new web presence. Using our Hypotheses Driven Design framework we created testable hypotheses attached to all our prospective user stories. This approach would allow us to validate our design assumptions before commencing any development. After iterating on our lists of design hypotheses and user stories several times we delivered a polished list of over 30 design hypotheses and more than 120 actionable user stories. With these lists in hand we ran several prioritisation workshops with Hachette staff, to make sure that our list was ordered and as well as being comprehensive. We delivered these insights as a concise vision summary which Hachette would be able to use to set the standard for the future project. Our strategy contained not just technical considerations but a full spectrum of documented user research insights. This included: key insights from user interviews, a comprehensive set of personas, goals and metrics for success, testable design hypotheses, user stories to feed into an agile development process and a clear roadmap detailing the long term future for the project. We loved working with the Hachette team and learnt a huge amount about the publishing industry in a short space of time. 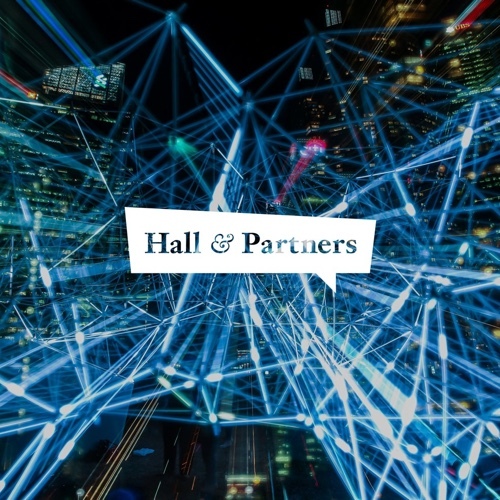 Having worked with Hachette to define a clear path to their digital future we can’t wait to work with them again to turn our collective ideas into reality. Get in touch with Hana & Steve to discuss your idea, project or business. With Netflix and black mirrors vying for our time and Gen Y spending more time indoors talking to friends online, it’s more important than ever to increase real-time, face-to-face social connection, we worked with the Evening Standard to envisaged the future of Going Out. Check it out! The market research insights industry is at a dramatic turning point, increasing brand apathy means businesses and brands find it hard to stand out in the marketplace. Read up on how we steered an old world data-business to a self-serving and AI-driven future.